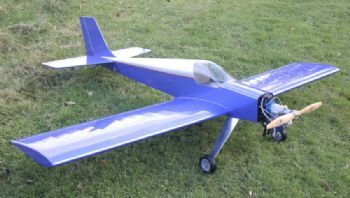 The Genesis has been designed and produced by Belair Kits and is endorsed by the LMA as their large sport model and low wing trainer. It is designed to teach correct large model practice, as well as an easy introduction to large model construction and techniques. It has a wingspan of 96 inches and a two piece wing, with an all up weight of around 8 kg. The model has been flown on 38-62cc petrol engines. The Genesis takes full advantage of Belair's in-house CAD/CAM facilities and is easy to construct using a slot together/self jigging design. 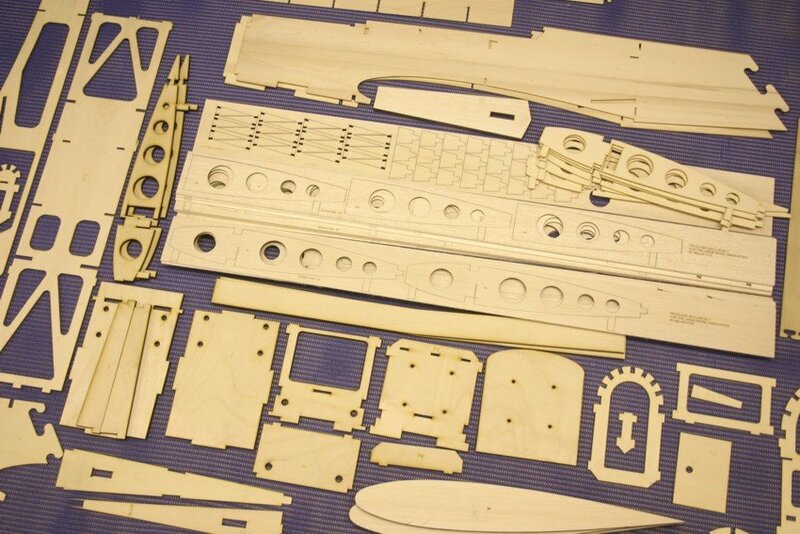 All parts are accurately laser cut and etched with their part numbers. 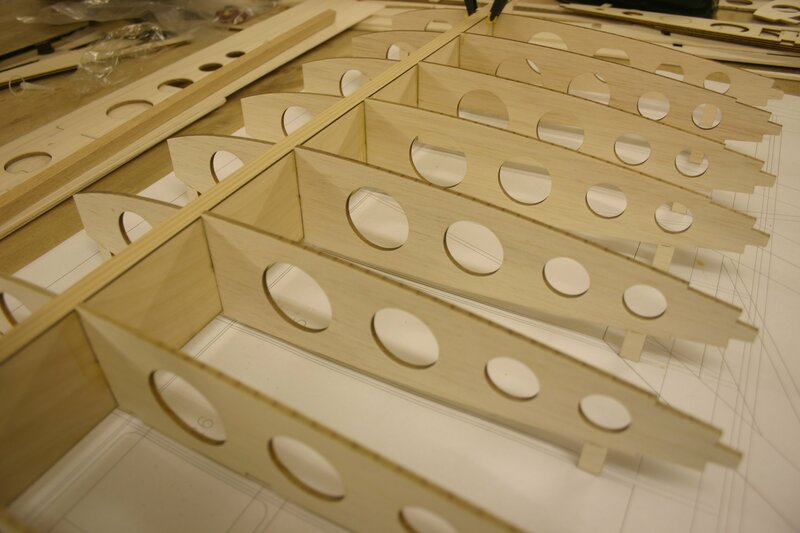 The Parts Set includes a massive 12' printed plan, parts, vac-formed canopy and a laser cut 5mm alloy undercarriage that is folded and drilled ready for use, leaving just basic sheet and strip to be supplied by the builder. RC Hardware is not included as this will vary with the builder's preferences. As the Genesis is shipped in two large boxes, the shipping charge is £15 not £12.50 as in cart.